It’s a cold but dry morning and you open the blinds to let some sunshine in and notice water has formed on the inside of your windows. It’s running on to the frame and on to your wood window sills. Not only is it unsightly but, over time, water can deteriorate the wood and create an expensive repair. 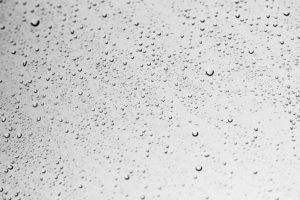 It’s helpful to understand how condensation occurs and how you can prevent it. No doubt about it, the glass in your windows is usually the coldest part of your house. Even the latest energy efficient windows perform poorly when compared to an insulated wall or roof. The warm, moist air inside collides with the coldest surface in your home and water droplets form as matter of simple science. Most often this occurs in the rooms we use the most like our bathrooms and kitchens but is common in any room with a high degree of moisture in the air. First, make sure the air in your home circulates properly. Today’s homes are so well insulated and tight that moist air can’t escape as easily as in the past. 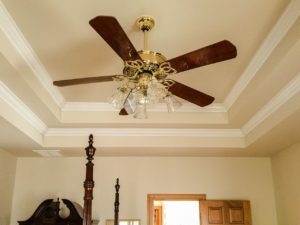 Try using your ceiling fans in the winter so that they push the warm air back to the floor area. If you’re used to keeping the door shut on a rarely used room during the winter, open that door occasionally to increase air flow. Second, do your best to keep the humidity in the house at a normal level (ideally about 40-50%). Use the bathroom and kitchen fans to eliminate moisture in those areas. If you’re using a humidifier try turning it down slightly so less moisture is in the air. Poor circulation and warm moist air are the chief causes of condensation. Keeping them in check during will pay dividends for the overall health and comfort of your home.